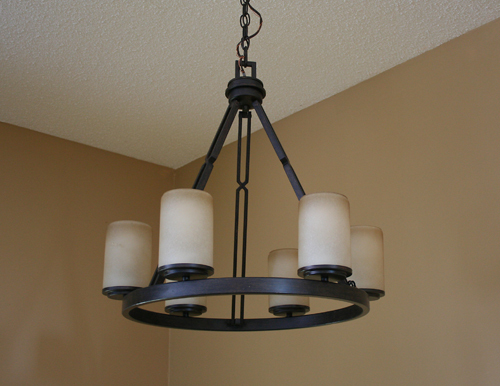 Some exciting new changes that we've recently made in our renovation adventure: lighting. We've replaced the old with some updated styles that suite us much better. 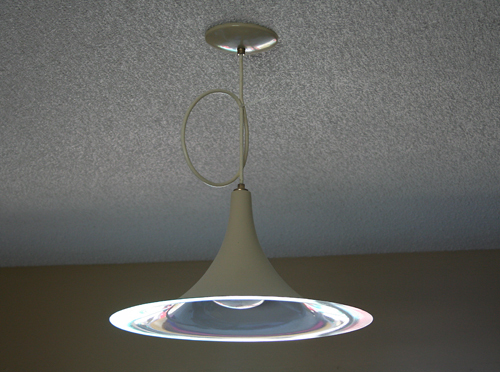 I will no longer be staring at, what I have affectionately referred to as, "the trumpet" in my dining room which provided no light in the room at all. This light was sort of like sitting at the dentist's chair, if you wanted to see anything you were eating or working on you had to be directly underneath it. 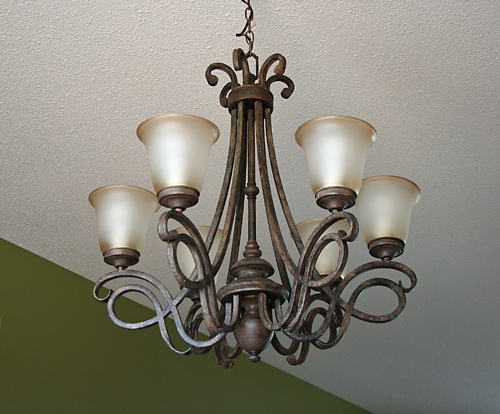 Instead we now have an elegant chandelier that provides ample light for all our late night activities. 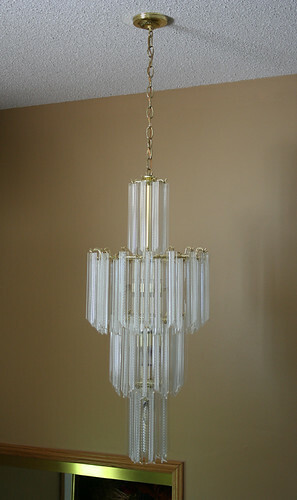 Our entrance way chandelier was a plastic eyesore of monstrous proportions. Each dangling piece of plastic reminded me of those huge acrylic key chains that were the rage in the 80's. I never did own one of those but I'm wondering if I should keep them in case the style revives. After all skinny pants, ballet shoes, & leg warmers have all returned. 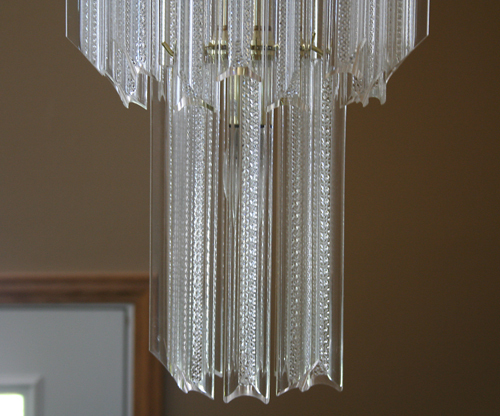 Our new fixture is much simpler and follows the "less is best" philosophy. It feels both romantic and gothic to me and reminds me of something you find in an old castle. I wonder if the kids will try to swing from it when they get older? The hubby was a real gem for hanging this one in our vaulted entrance way, especially when I told him to raise the height of it a couple of times.